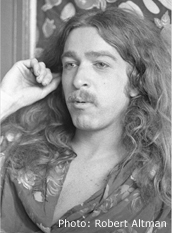 Born "Richard William Koldewyn" in San Bernardino, CA, he was a "boomer", born after WWII on Oct 10, 1945. Mom was an aspiring singer. 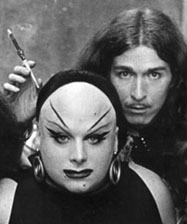 In High School, he got his first award winning musical role as Mr. Macafee in "Bye Bye Birdy". 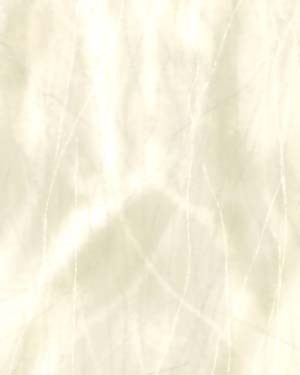 The school paper said "...his face must be made of rubber." 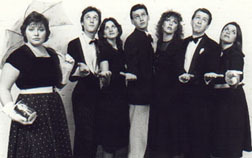 After collage in San Francisco, he found himself hanging out with a group of people who would later be called THE COCKETTES, From this group of friends he became known as SCRUMBLY. 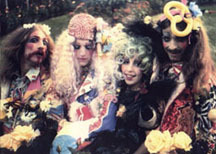 Aftethe demise of the Cockettes, he continued on the "cutting edge" of San Francisco's theater underground with such groups as "Paula Pucker and the Pioneers", the "Angels of Light", and later, "Theater Workers", who in 1977 received the Bay Area Critic's Circle Award for their production of Edward II. 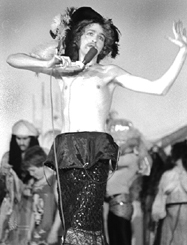 Then in 1979, he founded one of the first a capella new wave groups, "THE DISTRACTIONS" In 1981, he was awarded the Critic's circle award for original music from their show "For a Good Time, Call..."
In 1984, Scrumbly helped found THE JESTERS Vocal Trio. 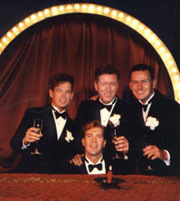 For 14 years they faithfully recreated the glorious harmonies of the 20's and 30's. 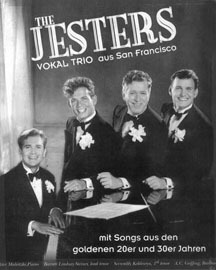 First performing with the 10 piece Royal Society Jazz Orchestra and the 20 piece Peter Mintun Orchestra, they set off to also perform on their own with piano accompaniment and full staging., They played in New York, Los Angeles, at Nevada hotels, and had 4 European tours, where they performed more than they did in the USA, often for large audiences. 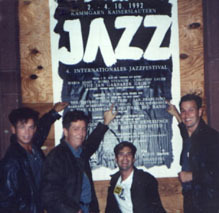 In Europe made 3 television appearances. At the RITZ HOTEL. 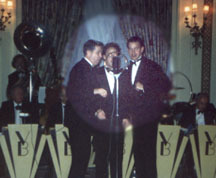 London, with the band "Vile Bodies"
They twice received the San Francisco (Cabaret) Gold Award, and while continuing to sing with their original orchestras, they also guested with the Napa Valley and San Francisco Symphonies. 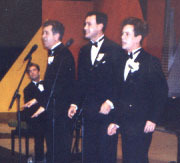 The Jesters appeared as singing waiters in the MGM movie "Getting Even With Dad" In 1995, they premiered their all- original (in vintage style) show, SINGING FOOLS, followed by a second production of it in 1996. 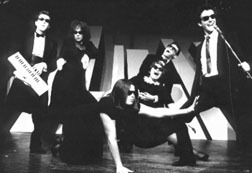 Although the JESTERS as an entity ceased to perform in 1998, Scrumbly continues to jest as much as ever.